This documentary follows the path of desperate workers in China, from the quiet countryside to the country's rapidly rising cities, where we learn the real cost of pursuing opportunity in a labor market eager to exploit. As the Chinese economy expands at a startling rate, so do its urban centers, fueling an internal movement of workers that is often as alarming as it overlooked by the western world. 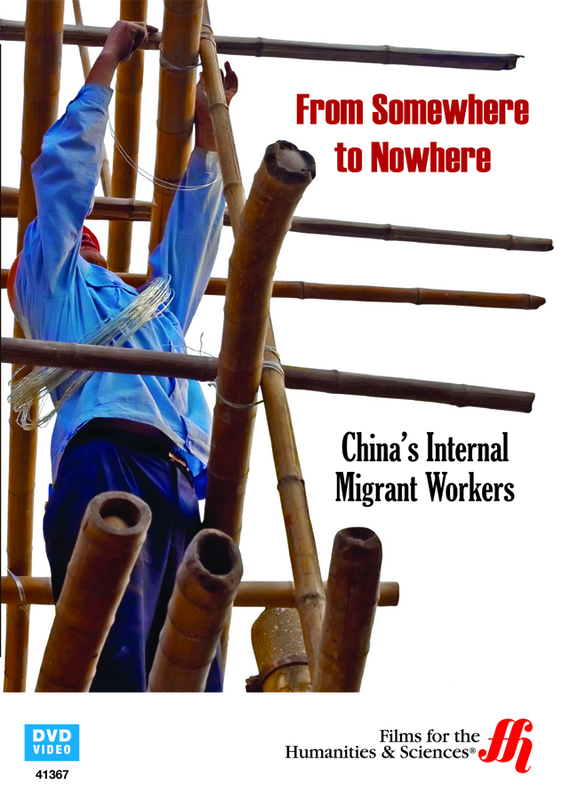 From construction to consumer goods, manufacturing to mining, industry in China is increasingly reliant on millions of migrants flooding into its cities from rural areas. By combining the images of renowned documentary photographer Andreas Seibert and video footage from Swiss film director Villi Hermann, From Somewhere to Nowhere communicates the plight of these "mingong," modern near-slave laborers with few options to improve their lot. The sheer scale of the exploitation on display is remarkable and disheartening in equal measure, shining a light on the subjugation of the masses who labor outside of the media spotlight, as well as the damaging excess that can come from rapid and unchecked economic expansion.